I’m a senior, and I’ve spent a lot of time in Swan Hall over the course of what has nearly been four years of school—but I’ve never had a class in the auditorium. This Tuesday, October 10, I completed my regularly scheduled English class—on the second floor—and descended down the staircase towards the entrance. I decided that it was finally time. For a moment, it was as if I lost control of my legs; they autonomously propelled me into a seat in the very back row of the auditorium. I was happy, as I was 15 minutes early and I had plenty of time to conduct some observations. 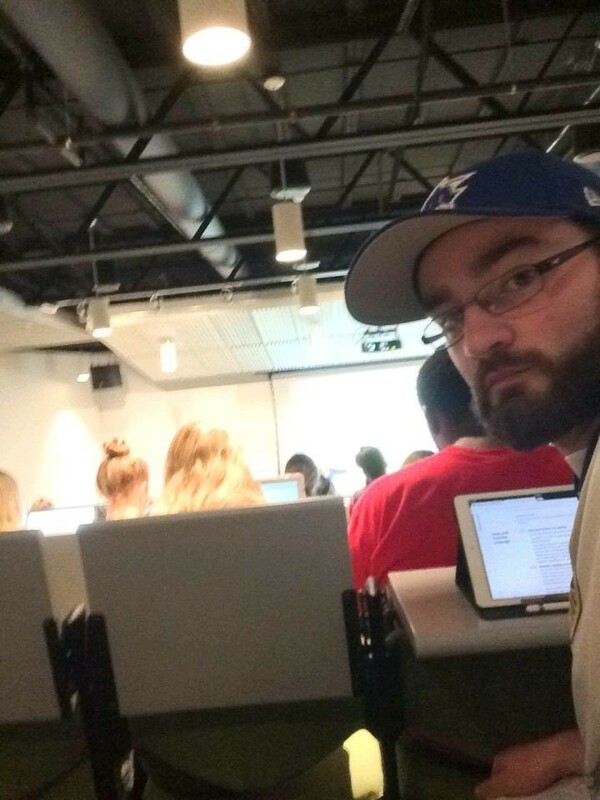 I saw that the girl in front of me was intent on spending the time studying for a different exam. The people to my left complained about school in general; to my right, two seats remained vacant. The professor came in and began to set up her things. There was about two minutes left until class began when a pivotal change occurred: a student in the class came in, and sat down right next to me. Was I nervous? No. I was exhilarated. I now had an optimal view into a student’s work, and I also had someone to engage in conversation with. This pleased me, especially since the topic of the day was “Lipids.” As someone who visits Swan Hall for the humanities courses, this word was almost entirely foreign to me. Surely, I realized, I needed to look on and watch her take notes. Furiously, I began to take notes. With my Apple Pencil as my quill, and my iPad’s “Notes” app as my parchment, I attempted to understand today’s lesson. Due to the fact that—for the first 25 minutes of class—I took notes at a rapid rate, most of this this time I cannot reconstruct from memory, as I blacked out in whirlwind frenzy. I can only look back at my work and wonder. “Lipids—insulation and energy usage, vitamins and hormones, carbon, hydrogen, and oxygen” my notes read. Whatever that means. The first 25 minutes are a blur; I came out of being stupefied when I heard the professor mention something along the lines of “Which many of you got wrong on the last exam.” Again, and as uncontrollable as my legs were, my head swiveled. “What did you get on that exam?” I stammer. “A 77,” said the girl next to me. “Not bad, that’s right around what I got,” I lied. Although at the time, I did not consider it a lie—I was merely assuming an identity. After meandering through some group work—saying things like, “sure, that definitely sounds like a saturated fat”—I bid my partner farewell when class was dismissed. Last in line, I made my way down the stairs to the stage, and introduced myself to the professor. She informed me that the class I stumbled in was NFS 210, Applied General Nutrition, and regardless of the fact I was a Mystery Student, she was grateful for my participation. If you’re reading this, and you also wish to feel what it’s like to be a Mystery Student, please, wander into a random lecture hall, and enjoy.